Lucknow: Om Prakash Rajbhar, the Uttar Pradesh Minister For Backward Class Welfare and Suheldev Bharatiya Samaj Party leader, on Thursday gave up his portfolio after accusing the state government of failing to ensure proper distribution of scholarship to the backward class students and not implementing the 27% reservation for the community according to the recommendations of the social justice committee. Rajbhar, the MLA from Jahurabad in eastern UP’s Ghazipur, will, however, retain the empowerment of persons with disabilities department. His Suheldev Bharatiya Samaj Party (SBSP) is an ally of the Bharatiya Janata Party in the state. 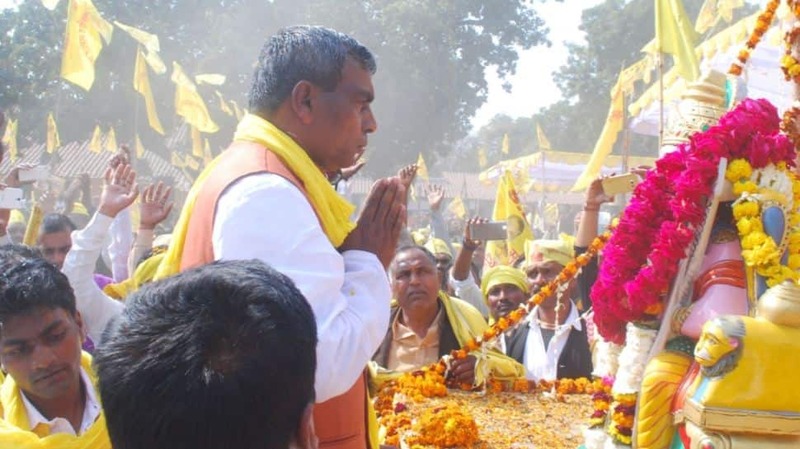 While announcing his decision to give up the Backward Class Welfare department, Rajbhar claimed that a large number of people from the backwards castes had applied for various posts in the UP State Commission for Backward Classes following which a list was prepared. He said his ministry had proposed 28 people for the posts but surprisingly the names of 27 of them were missing when the papers reached Chief Minister Yogi Adityanath’s office. He alleged that all senior positions including those of the chairperson and the vice-chairperson were arbitrarily filled. “Now what is the relevance of this minister? When a minister cannot have a say in the selection of a member and all the work is to be done by the chief minister, then what is the point of the department being handled by me. The social justice panel’s recommendations are waiting to be implemented. If the Backward Class Welfare Department is with me, then it is my job to fight for them and for their rights,” he told PTI in Lucknow. The SBSP has four MLAs in the Uttar Pradesh Assembly.